We offer high-quality traditional and clinical aesthetics in a professional and relaxing environment, at affordable prices. Our traditional sedona facials includes deep cleansing, microdermabrasion, extractions, massage, mask and nourishing moisturizing. See and feel an immediate difference in your skin’s texture, clarity, and smoothness. Additional clinical services are customized as follows. The Ultimate Choice in Advanced Skin Care Treatment, customized to fit your skin type and skin care goals. Includes masks, serums and/or peels to replenish & rejuvenate your skin! 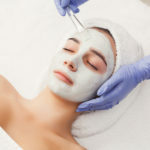 A relaxing facial treatment includes deep cleansing, steam, mask, moisturizer & extractions. 90min includes lip treatment & more massage. Our most popular package at NAMTI Spa includes a therapeutic massage and your choice of facial. We can accommodate parties of 6+ at the same time! Leave looking and feeling younger! Small, hair-thin needles are strategically placed to reduce the appearance of fine lines, wrinkles, scars and blemishes. It is a painless experience with proven results. 90 minute / $139. This peel is very powerful at helping remove the appearance of fine lines and wrinkles, and lightening unwanted pigmentation. You will see results in one treatment, and for best results, consider a series of 5 treatments. $20 add-on to a classic facial. Where rejuvenation and relaxation meet! CBD is an antioxidant more powerful than Vitamins C, E, A or Omega 3 Fatty Acids. Topically applied, it improves skin texture, fine lines, wrinkles, reduces inflammation and is deeply relaxing on body and mind. Leaves skin radiant! $20 add-on to a classic facial. Rejuvenate stressed tired eyes with our supreme anti-aging eye treatment. $29 add-on to classic facial. Our Classic Facials nurture you & leave your skin glowing. For greater results Book a Medi-Spa Advanced Skin Rejuvenation Facial and reveal fresh bright skin! TInting your lashes makes the lashes appear considerably longer and fuller because those lashes which are naturally lighter and thinner are only properly emphasized through tinting and can then be shown off to their advantage. Light – and therefore difficult to see – lashes are emphasized through intensive, dark color. Even naturally black lashes take on a new lease of life and appear radiantly glossy through tinting. Tinting your brows makes the eyebrows dramatically emphasized, clearly defined so they perfectly frame the face. Color-matching the eyebrows to the hair color lessens the contrast between brows and hair.creating a balanced look. For very fine or missing hair, the tinting of the skin enables an optical illusion to be produced so that eyebrows appear to be intact. Even greying or white hairs can be 100% covered up lending a youthful appearance! Brow & Lash Tinting – $40 and reveal fresh bright skin!